I know that I'm not the only one to struggle at this time of the year. I don't enjoy the cold weather or dark and gloomy days, and I just want to stay at home under a blanket or with my back pressed against a radiator. But this year I'm determined to do a better job of embracing the winter season, and although it's early days yet I think that I've already made a good start. Making Winter: A Creative Guide for Surviving the Winter Months (affiliate link) by Emma Mitchell was recommended to me by my sister last year, and she very kindly bought it for my birthday a couple of months ago. It's a gorgeous big hardback book packed with winter inspiration from an author that has discovered many ways to encourage herself to enjoy winter more. There are recipes, craft projects and crochet patterns, along with plenty of tips and inspiration to help you make the most of winter. I've kept the book beside the bed and I've been leafing through before I go to sleep and it's given me many ideas. One that particularly struck me was the suggestion of holding a regular craft session with friends. I have a couple of friends that I think I could interest in the idea, if we can find a time when we are all free! So this week I made a brief foray into a crafting evening with a friend, and we had a lovely time attempting to make woven paper hearts, a craft that I remember from school. They aren't as difficult to make as they look, I began with a simple woven heart template from Twinkl and then used the template to try out some variations on the theme. 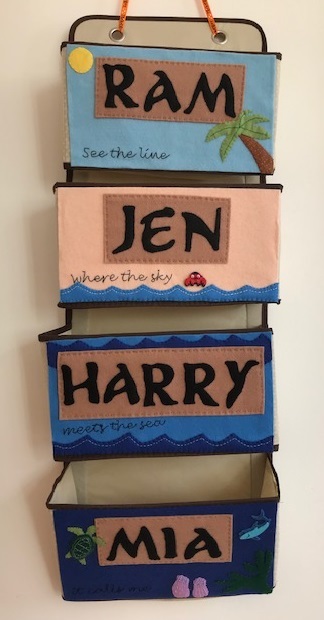 I was so pleased with them that I ended up making more with the children after school the next day! I think I'll make one of my New Year's resolutions the promise to try and set up a few more crafty and cake evenings with friends. My inspiration for making the hearts came from a second book which has inspired me to think a little more positively about winter. 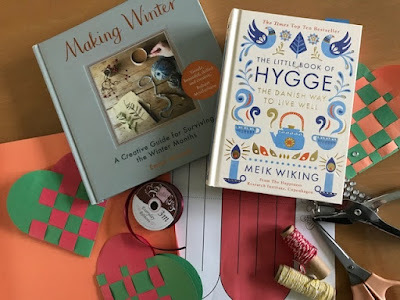 I'm very late to the Hygge bandwagon, but I bought The Little Book of Hygge (affiliate link) by Meik Wiking about a year ago, and it's another lovely book to dip in and out of. I have a couple of favourite sections that I enjoy referring back to - in particular how to put together a hygge emergency kit, and a selection of ideas for embracing hygge throughout the year. I love the idea of stocking up on blankets, warm socks and nice chocolate while I do some crafting, look through old photos, write letters or watch television. I've also upped my game a bit with my Christmas decorations this year. My home decor does tend towards the minimalistic, but it's nice to have a cosier look at Christmas. 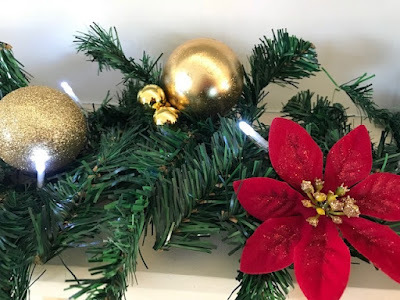 Inspired by a display at the local garden centre I went a bit mad buying fake greenery, poinsettias and fairy lights, and now I just want to invite everyone over to show them off. We even have a wreath for the door for the first time, although I'm waiting until a few neighbours are displaying theirs before I put mine up! Finally I've been enjoying my Christmas jigsaw puzzles. I have quite a collection now, and this year for the first time I want to try and finish them all by Christmas. I've managed to do three already and I have another three to go - I've started early and I'm confident that I can do it! 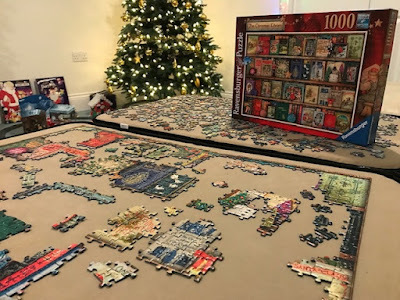 I find jigsaws so relaxing, and once I've got past the initial sorting of the pieces it's so satisfying to watch them come together. If you struggle with winter like I do, I'd love to hear your tips for embracing the season before we can start to look forward to some warmer weather!